I spent my early 20s totally ignoring my finances. After all, what did it matter exactly how much was in my pitiful publishing paycheck when the answer was not much? 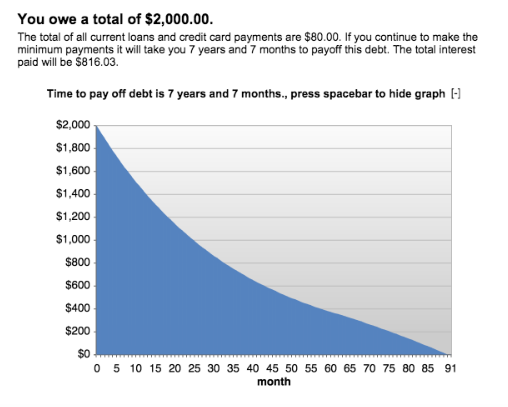 Or how high my credit card debt climbed (very), or how little I invested (uh, zero)? I just trusted everything would work out over time. Here are the five most important numbers you need to know. What I used to see when I glanced at my paystubs was how much more flush I’d feel if that hefty chunk wasn’t being taken out for taxes—but that’s not the point. What you need to memorize is what you actually take home each month. If you’re freelancing, review the last six months of income and take an average. When retirement is still decades away, it’s easy to either a) not invest at all, figuring you’ll catch up later or b) not pay much attention to what you do contribute. These are both dangerous strategies, says Storjohann, since starting early and tracking your progress almost always yield a bigger portfolio. Financial advisors often recommend those in their 20s contribute 10 percent of their salary—a figure that jumps to 15 percent once you hit 30. If you can’t reach those targets, start by contributing up to the point of your employer match, if you have one, and then increasing it. One relatively painless method: Increase your contribution a percent or two each January. Then it can come straight off any cost-of-living or merit raise you get, and you’ll hardly miss it. You’ll also want to calculate how much you’ll need by retirement—say, around age 65. “Assume you’ll need 60 to 70 percent of your current expenses,” says Storjohann. So, if you need about $40,000 a year to live, you’ll need a portfolio with $1 million or more. That may seem like an impossible amount. But over time, your yearly contributions can grow exponentially. “Remember, this money is invested, which means it will compound,” Storjohann adds. When my debt was creeping up, I only kept a ballpark number in my mind. But not focusing on this figure—no matter how scary—is a mistake. “When you don’t look at how much you owe—and the interest rate—you don’t know what it’s costing you,” says Storjohann. (Which, of course, is sort of the point.) But not looking at it doesn’t make it go away; it often makes it worse. Let’s say you have a $2,000 balance with a 15 percent interest rate (the current average for variable credit cards), and you pay the minimum of $80 per month. It’d take you almost eight years to wipe it out, and you’d end up paying more than $800 in interest! So know what you owe. Write down every outstanding balance, plus interest rates and minimum payments. Then optimize your strategy with balance transfer offers and extra payments. “Find a little extra money to put toward each. And remember, target the highest interest-rate debt first,” Storjohann says. One in four consumers has identified credit report errors that could affect their credit scores, according to an FTC report. So get a free copy of your credit report once every 12 months from at least one of the three reporting agencies at AnnualCreditReport.com and scan it carefully for inaccuracies. If you find a mistake, call the credit bureaus to file a dispute. Knowing your actual FICO score is important, too, as it can affect whether you qualify for a mortgage, car loan, among other things, and how much interest you’ll pay. You can get a free look at your score through sites like CreditKarma.com. Once that’s set, you can focus on other bigger goals—like saving for a down payment on a home or a vacation abroad. Don’t be discouraged if the goal seems far away. “Start with saving just one month’s worth of bills,” Storjohann says. Hitting a small target, then the next, can fire you up to stay the course until your account is fully funded—and saving is second nature.